A Romanian has bought the entire batch of manuscripts of Romanian writer Emil Cioran (in picture), which were sold on Thursday at an auction in Paris. According to Mediafax newswire, KDF Energy, owned by Romanian George Brailoiu, acquired the manuscripts and plans to bring the manuscripts back to Romania. The total amount paid for Emil Cioran manuscripts reached EUR 400,000. The Central University Library in Bucharest (BCU) and the state-owned television TVR also took part in the auction, hoping to buy Cioran's manuscripts, but they only managed to buy some of the items, before the final buyer snatched the entrie batch of items. The auction included 123 objects which had been valued under EUR 100,000. Each item has been over-auctioned, which raised the total value of the group of items to EUR 400,000. “We didn't imagine somebody would buy everything. We had managed to get some of the manuscripts and other items,” said Mirelle Radoi, director of the Central University Library in Bucharest. Cioran's BA diploma was sold for EUR 17,000, while his bachelor degree diploma, for EUR 8,000. Two manuscripts sold for EUR 20,000 and EUR 13,000 respectively. The Court of Appeal of Paris has recently decided that Simone Baulez, a woman that does antique trading, is the owner of 37 of Romanian philosopher Emil Cioran’s manuscripts, that she found in February of 1998 in the basement of the philosopher’s house, three years after his death. Ten years ago, Henry Boue, brother of Simone Boue, Cioran’s life partener, had hired Simone Baulez to completely empty the apartment on 21 Odeon St., 21, where Simone Boue had lived. Baulez said that she found in the building’s basement around 37 spiral notebooks: 5 successive versions of “De l’inconvénient d’être né” (“The Trouble With Being Born”), one of the most known texts written by Cioran, notebooks with preparatory notes for “Ecartelement” (“Drawn and Quartered”) and for “Aveux et anathèmes” (“Confessions and Anathemas”), as well as 18 unpublished notebooks which contained pieces of his journal in which he wrote from 1972 to 1980. 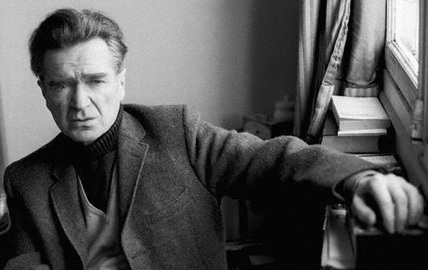 More about Emil Cioran, in our Famous Romanians article here. Read about his book, ‘On the Heights of despair’, here.